The A2 Key, Key for schools, B1 Preliminary and Preliminary for schools exams are changing from January 2020, so we are holding a Teacher Training event to help you get to know about the changes in the exams and how to prepare your students for them. 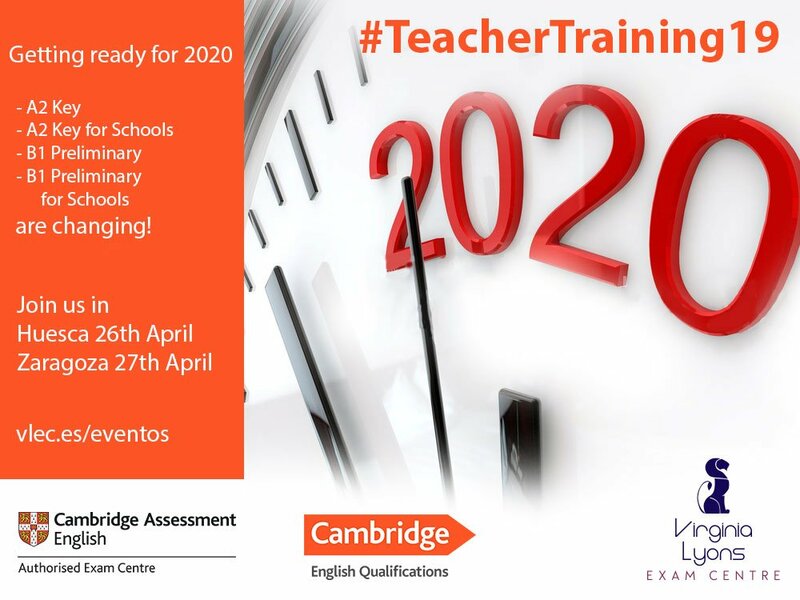 VLEC, in collaboration with Cambridge Assessment English, would like to invite you to a seminar for teachers. There will be a mid-morning coffee break, with a selection of textbooks from CUP to browse. To outline why A2 Key, A2 Key for Schools, B1 Preliminary and B1 Preliminary for Schools are changing from 2020 and what the changes are, including the exam preparation support available. This seminar is for teachers and schools who are familiar with the exams. The closing date for registration is Wednesday 24th April. Places are limited and will be allotted on a first-come-first-served basis: teachers who arrive on the day without having registered previously will only be allowed to attend if there are unallocated places remaining, or if any teacher who has registered fails to arrive. Certificates of attendance will only be provided for teachers who have registered and attended on the day: they will receive an e-mail after the event with instructions on how to download their certificate.